Demand greatness from your players in every drill with the coaching techniques of Geno Auriemma! Geno Auriemma has unquestionably distinguished himself as one of the most successful coaches in the history of basketball. His teams have consistently accomplished feats, such as an 111-game winning streak, that simply doesn't seem possible. 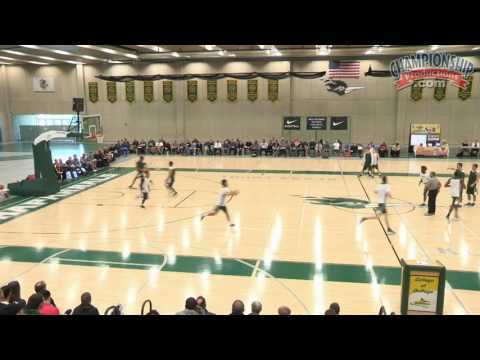 In this clinic, Coach Auriemma shares his insight into how to coach and play the game of basketball and demonstrates the intangibles that make his teams as great as they are. He shows that it's not the drills you run, but how you run and teach within the drills. Learn how to demand that your players play at a faster pace through five transition drills. Coach Auriemma emphasizes pace in everything they do in practices. These practice drills also force players to focus on executing the littlest details with precision. You'll see how Auriemma builds pressure into his practice drills and holds players accountable to perfect technique. The expectations of each drill extend beyond fundamentals to creating a culture in your practice. These drills give your players repetitions in the types of shots they'll see in transition offense. One 4-man transition drill demonstrates multiple options that you can implement in your fast break. It teaches players how to play up-tempo with handling a ball, passing, receiving and making shots. With this drill, you can also condition your post to outwork opponents for easy layups in transition. Auriemma then teaches players different offensive options, such as a transition three, a skip pass for a three, and then a pick & roll for the big at the end of the fourth possession. 2-on-0 Half Court lay-ups - Warms up players with execution on passing, receiving and making layups. 3-on-0 Half court bank w/box out - Works passing, receiving, and a pull up jumper. 3-on-0 Full Court Lay-ups - Teaches athletes how to transition from rebound, to outlet, to lay-up and back while making good passes, sprinting, and finishing. Auriemma shares insights into his coaching philosophy on a number of issues. You'll see his perspective on what fundamentals to prioritize, how to coach your players after a game, building noise and communication in the gym, extending the freedom your players have in games to make decisions, and more. If you want to learn from one of the best coaches to ever teach the game, you'll enjoy this video from Coach Auriemma! Produced at the Spring 2017 Chicago (IL) clinic.